Most people think that you gain weight simply by eating too much – if only that was the case. Sure it is a contributing factor, but there are many reasons why you can put on weight and one of the biggest issues is stress. As most of us lead a fast-paced life, it certainly is a weight loss hurdle that is hard to avoid. Metabolism– Too much cortisol in your system can slow your metabolism, causing more weight gain than you would normally experience. This also makes trying to lose weight more difficult. Blood Sugar– Prolonged stress can alter your blood sugar levels, causing mood swings, fatigue, and conditions like hyperglycemia. Too much cortisol has even been linked to Syndrome X, which is a pre-cursor to the onset of diabetes. Cravings– People experiencing chronic stress tend to crave more fatty and sugary foods, simply because of the rapid changes in blood sugar levels. These foods are typically less healthy and lead to increased weight gain. 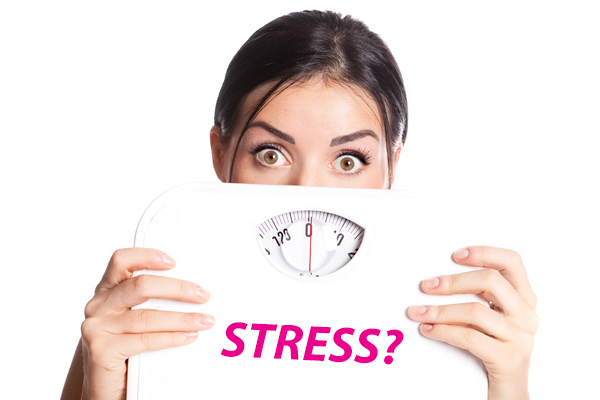 Fat Storage– Excessive stress even affects where we tend to store fat. Higher levels of cortisol causes an increase in abdominal fat and this type of fat storage is associated with greater health risks when compared to fat stored in other areas of the body. This entry was posted in emotional eating, stress, stress management and tagged B+Zinc and Passiflora, cortisol, lifestyle issues, stress, The Natural Way. Bookmark the permalink.